In December 2013, the Federal Communications Commission website published the data reported by broadband providers on their Form 477 reports for December 2012. 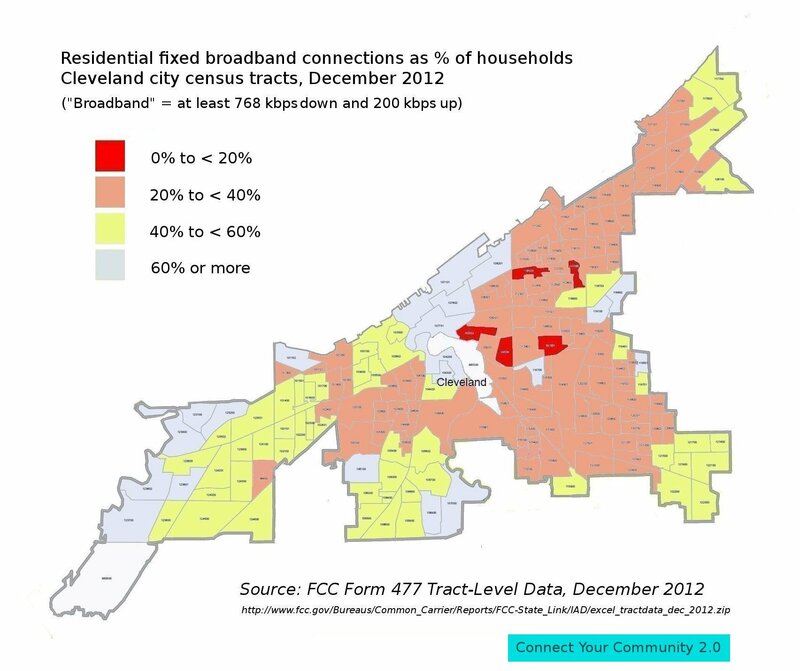 This data includes the ratio of “residential fixed broadband connections” (i.e. home cable modem and DSL accounts) to total households — in other words, the percentages of households that had high-speed Internet service at the end of 2012 — for each Census tract. Here’s what those percentages look like for Cuyahoga County (click on the map for a closer look). And here’s the city of Cleveland. 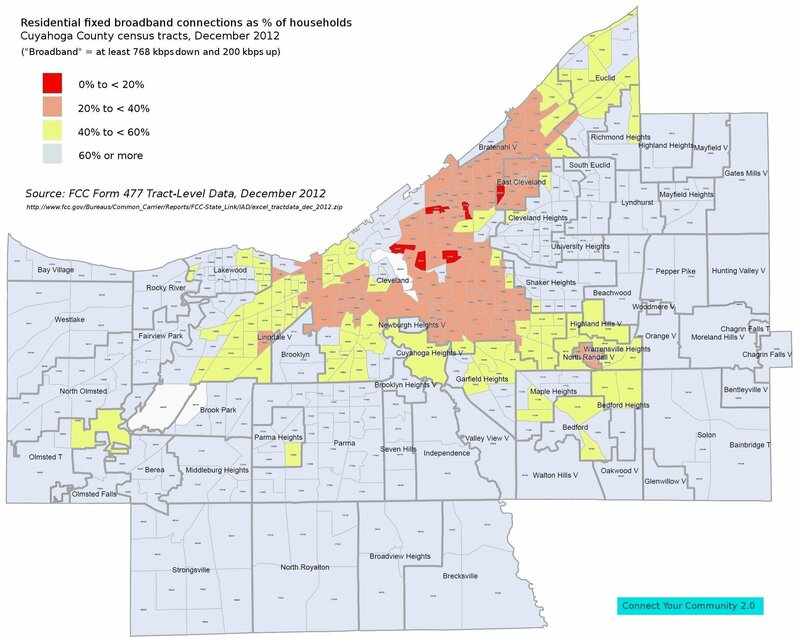 Out of 174 populated Census tracts in Cleveland, the FCC data shows that 102 (58%) had fewer than two out of five households connected to the Internet via cable or DSL. Compare that to the rest of the county, in which 80% of all Census tracts (216 out of 269) had better than 60% household connection rates. And that’s what the digital divide looks like in our community.